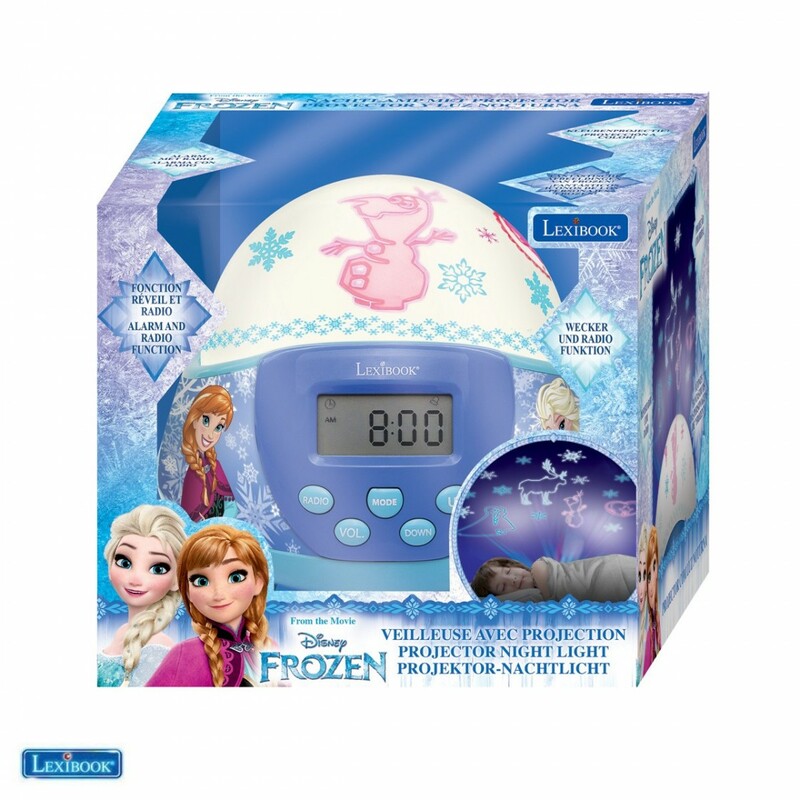 - A 100% Disney Frozen radio clock projector nightlight dome to illuminate your bedroom and ceiling! 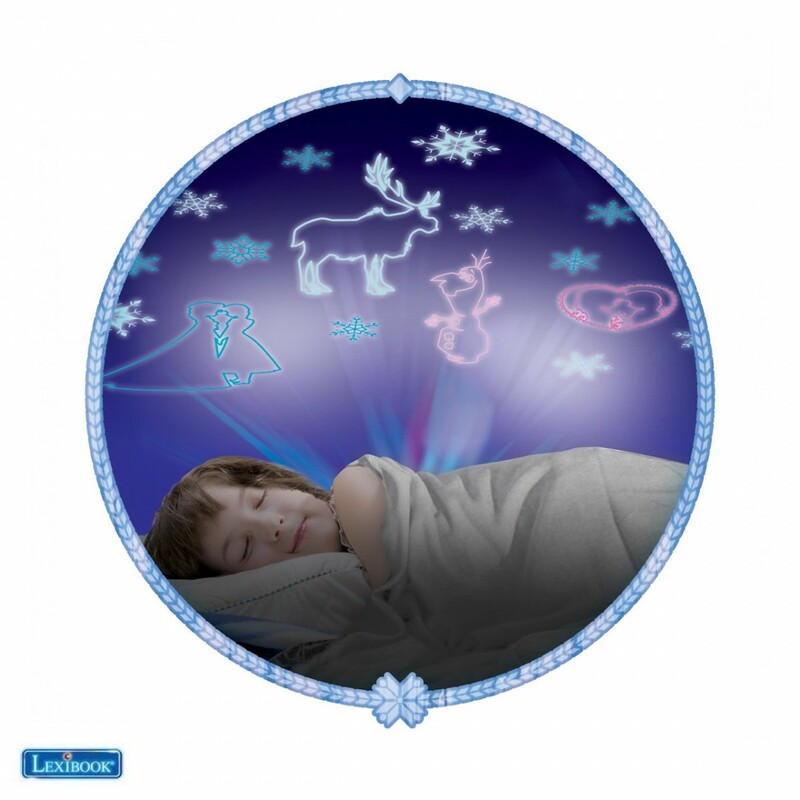 - The dome lights up and projects lovely icons and colourful characters to gently fall asleep with Elsa, Anna and Olaf! - Easy to use: press on the dome to turn the projection on and off. - Energy efficient: the light-up dome automatically shuts off after 45 minutes. - Multi-function: clock, FM radio, alarm with Snooze function and radio alarm to wake up with your favourite radio station. Digital display on LCD screen. 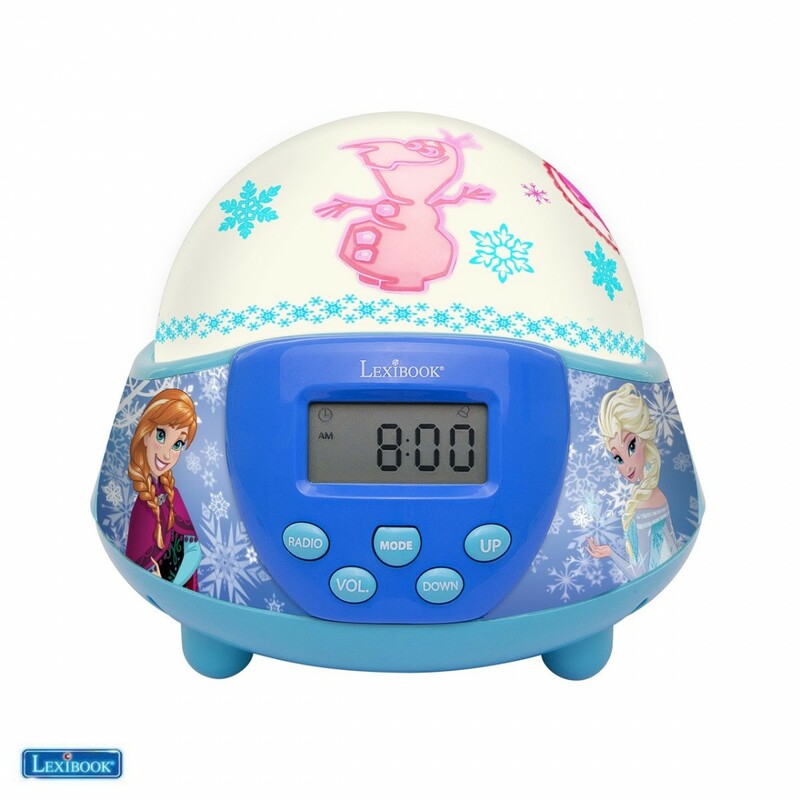 Review "Radio Clock Disney Frozen with nighlight projector dome"